Are You Looking For Someone Who Can Simplify Your Office Phones? Customised. Preconfigured. Self-Install. Cloud PBX. Since 2006, we have run an office phone technology business based in Sydney. In that time, we’ve had the great privilege of helping thousands of small businesses around Australia. Many of whom tell us they feel like they’re being held hostage by their phone providers because they get slugged with exorbitant plans and out-of-date, obsolete products. Not to mention terrible customer service to boot! We Are All About the Complete Opposite. We provide everything you need to self-install your new phone system. We’re all about efficiency and excellence. We are the experts in both phone systems and VoIP, having been leaders in the industry since 2006. Our mission is to connect clients with the technology that will improve their business operations and make their lives better. Let’s Be Straight. There is No Such Thing as a "Normal" Office Workplace Anymore. We love to make the impossible possible, to complement the varying ways “workplaces” now function. As a result, our Self-Install Cloud PBX is Pure Genius in its simplicity and functionality. And it is revolutionising the workplace as we know it. Plug-and-Play Phone Handsets means your phone system can be up in minutes. No installation fees. No contracts. No call centres. Giving businesses back their Power, Freedom AND Flexibility. We've been obsessed with VoIP and Cloud PBX technology for the past 11 years. Seamlessly lead your business into the digital age. It is our mission to give businesses back their Power and Freedom AND Flexibility by connecting them with the technology that will improve their business operations and make their lives better. We’re all about efficiency and excellence. For 11 years we have been obsessed with VoIP and Cloud PBX technology. Our passion is sharing that knowledge and experience with other businesses to improve their day-to-day operations. We have tried and tested it ALL and would love to share with you all the advise, tips and strategies that we have fine-tuned over the last 11 years to seamlessly lead your business into the digital age. Check out our video at the top of the page to discover how our Cloud PBX can help you. If you would like help to improve and simplify your office phone systems, we’re ready to talk. We are a small business so bottom line is very important. Alpha Comms put together a communications package to suit our business. They listened to what we had to say and gave us a simple response. It’s amazing the decrease we are already seeing in our phone costs. Please complete the form below, and one our of friendly team will contact you ASAP to discuss your requirements. You will be on your way to enjoying the Power, Freedom AND Flexibility offered by Alpha Comms before you know it. Standard Form of Agreement for the Sale, Supply Provision & Use of Telecommunications Services & Products These terms & conditions are a Standard Form of Agreement for the purposes of Section 479 of the Telecommunications Act 1997. Alpha Comms Pty Ltd (ACN 146 838 913), will supply the customer (‘You’ or ‘Your’), services on the terms & conditions set out below (the ‘Agreement’). Undefined words have the same meaning as in the Telecommunications Act, 1997. Unless specified, these terms & conditions apply to all Services provided by Us. 1.1 We will connect Your Service(s) to the network as soon as it is reasonably practicable after Our acceptance of Your written form, or online internet form, application and its related parts (‘Application’) & We will use all reasonable efforts to maintain the Service while You comply with this Agreement. 1.2 On an Unbundled Local Loop Service (ULL) We will provide the telecommunications service(s), a standard (not priority) service, as indicated in the Application (the ‘Service’) to You in Australia through such Carrier or supplier network or networks as We nominate from time to time directly with the Carrier, supplier or network operator (the ‘Carrier’ or ‘Supplier’). Where carriage is supplied, the quality of the carriage of the Services will be the same as that of the Carrier or Supplier. 1.3 Where We are providing data services, the access component of the relevant data service &, optionally, a rented Customer Premises Equipment (CPE) router, are supplied to Us by a third party(s) as a wholesale Supplier. 1.4 You must not resupply any of the Services without Our express agreement in writing. 1.5 Where there is any exclusion or inconsistency between the terms & conditions of particular services & the Standard Form Of Agreement, the latter shall prevail, to the extent of any such exclusion or inconsistency. 2.1 Charges for the Services are determined in accordance with the plan rate, or by You accepting to use Our services when You have accessed our online application forms, or such other manner specified in the Application. We may change the amount of these charges or add new charges from time to time in accordance with clause 6. You will be invoiced for all calls, services, usage, or other charges on a monthly basis with 7 days trading terms for payment of accounts thereafter unless otherwise specified. You must pay all invoiced amounts by the date specified on the relevant invoice. If you have nominated automatic direct debit, Your credit card will be charged on the invoice date. Charges that do not appear on Your monthly invoice may appear on future accounts due to processing procedures. This includes any excess charges accumulated during the previous invoice period. 2.2 Any charges billed to You after the cancellation date from Your previous service provider will be due & payable by You to that provider. 2.3 Our charges to You may involve fees for connection, initiation, transfer, relocation or cancellation of any Service(s). Such charges, if not specified in accordance with the rate plan or such other manner specified in Your Agreement will be charged to You at cost to Us from the Carrier. 2.4 Overdue accounts will incur a late fee calculated at the greater of $10 +GST or 1.5% per month on amounts outstanding or part thereof. We may charge You interest on overdue amounts at 3% above the per annum Commonwealth Bank Corporate Overdraft Reference rate applicable at the date of the bill, calculated daily. 2.5 We may, without notice, deactivate or cancel all or part of Your Service if any amount is not paid by its due date. We reserve the right to restrict any Service at any time if We feel the account has gone over its credit limit or the Service appears fraudulent. Discounts may also be revoked during the overdue period. If any amount has not been paid by the due date We reserve the right to deduct any unpaid amount (or part thereof) from Your credit card or charge card nominated on the application form. 2.6 If You default under this Agreement, We may use or disclose any personal information collected & recorded in relation to You to assist Us in the process of debt recovery. Personal information includes personal identifying details such as Your name, address, date of birth, employers & drivers’ license details & status of any of Your accounts or related bodies corporate, Your credit history, & information about Your creditworthiness or capacity. 2.7 In consideration of Us having agreed to supply the services to You, the person signing this agreement (“the signatories”) on Your behalf hereby jointly & severally guarantee the payment on demand of all monies which are or shall hereafter become due to Us by You. This guarantee shall be a continuing guarantee & shall not be affected by Us giving time or any other indulgence to You, nor shall any of Our rights to sue or report Your details to a credit reporting agency be affected hereby. 2.8 For any reason where you may not be contactable for an extended period, for example, going on a holiday, then it is your responsibility to make sure that your account will be kept up to date and does not fall in arrears while you are uncontactable. If your account falls in arrears while you are uncontactable by phone or mobile, then I.S.P. at its discretion, may disconnect your Service. If your Service is an ADSL2+ and telephone bundle, then you will loose your telephone number. 2.9 A $2 + GST Invoice Processing and Handling Fee will be charged when an invoice and/or statement is generated and our billing system does not automatically debit a credit card. To avoid this charge You will need to correctly fill out the Credit Card Form, in doing so You are authorising Us to debit the nominated card when an invoice is generated. 2.10 In the event that you wish to withdraw your order and the Provisioning of your Service has reached PONR (Point of No Return), then you will be liable to pay the connection charges, if any, plus the early termination fee. 2.11 Any prepaid payments for service is non-refundable. Unless expressly stated otherwise, the charges payable for the Services under this Agreement are inclusive of GST. 4.1 In providing the Services, if We need to change Your arrangements with Your current supplier, then We will do so in accordance with this clause. 4.2 By signing the Application or any other agreement for the provision of Services by Us: You authorise Us to sign on Your behalf & in Your name forms of authority to Your current supplier of Services to transfer the Services into Our name. You will on request give written instructions Yourself to Your current supplier to transfer the Services from Your name to Ours. 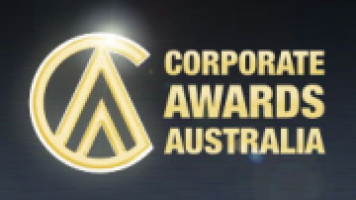 You will immediately pay to Your current supplier all amounts owing to it for the Services being transferred up to the time of transfer to Our name 4.3 You agree that for Us to provide the Services to You, You or Your nominee applies through Our online applications, on www.alphacomms.com.au, constitutes Your agreement to our terms & conditions. You should ensure that both You & Your nominee have read & understood Our terms & conditions. 5.1 If in the future You ask Us or another provider to transfer any of the Services to another supplier, then You remain responsible to Us for the amount payable for the Services up to the time when We transfer those Services to another supplier, & You will immediately pay Us the amount on receipt of Our invoice. 5.2 The provision of Services ceases when We transfer those Services to another supplier, provided you have fulfilled your contractual obligations and in respect to the cancellation notice period for your respective Service. 5.3 We will bill You for those Services within the next normal billing period. 5.4 If after We become aware of any other proper charges (including fees payable to any other supplier) for those Services up to the date of transfer, then You will immediately pay Us all such amounts on receipt of Our invoice. 6.1 These Terms and Conditions, and the Acceptable Usage Policy are subject to change at any time without notice. If we change the Terms and Conditions, or Acceptable Use Policy in a manner which we reasonably consider would cause detriment to you, we will notify you of the change at least 30 days in advance. If you do not agree with any changes notified to you, you may terminate this Agreement but you must notify us of such termination within 14 days of our notice. If you notify us that you wish to terminate this Agreement, the termination will take effect from the date of change to this Agreement, or Acceptable Use Policy comes into effect, as specified in our notice. Not withstanding that you may send us notice of termination under this clause, if you continue to use of the Service beyond the date of the change, you will be charged for such use. Your continued use of the Alpha Comms Pty Ltd ADSL broadband Service beyond the date of the change will be deemed acceptance of it. It will be sufficient that we notify you only of the fact that these Terms and Conditions, the Acceptable Use Policy or Service Plans have been changed and that we post a revised copy of this Agreement, the Acceptable Use Policy or Service Plans on the Alpha Comms Pty Ltd website. 6.2 Without notice, We may at any time, change the Carrier or Supplier, or the Carrier’s or Supplier’s products. 6.3 Any alterations in the terms or conditions for Your Services made under the provisions of this clause during the Fixed Term of Your Agreement will not be applicable. The terms and conditions applicable are those under Our SFOA as published on our web site www.alphacomms.com.au at the date You entered into Your Fixed term Agreement. 7.1 Alpha Comms Pty Ltd adheres fully to the Privacy Act. in regard to the way in which We collect, use & disclose information about You. 8.1 You consent to Us & Our Carriers or Suppliers exchanging Your information &/or details & the Carrier or Suppliers, We & Our respective related bodies corporate may all use Your details for Our own purposes. 8.2 You authorise the Carrier or Suppliers to disclose to Us all records, & in particular exchange line, mobile or network details, telephone usage or accounts information, communication usage records & call event records. 8.3 You consent to Us disclosing Your information &/or details to any other Australian telecommunications service provider or supplier who is a member of the Australian Telecommunications Fraud & Risk Association where we, or the provider or supplier has reasonable grounds for suspecting that You (or any user of a service provided to You) have been engaged, or are likely to engage, in fraudulent activity in relation to telecommunications services. 9.1 You will supply without delay all the necessary information to check the worthiness of Your credit rating. 9.2 If We consider it relevant to assessing this application, You agree to Us obtaining from a credit-reporting agency a credit report containing personal information about You. 9.3 You agree that We may give to any credit provider & / or credit-reporting agency any information contained in the Application. You also agree that We may seek from any credit provider & / or credit-reporting agency any credit report (whether commercial for any named business entity, or consumer for any named individual) on all parties named in the application. You acknowledge & understand that such information can include any information regarding Your commercial or consumer credit worthiness, credit history or credit capacity that credit providers & / or credit reporting agencies are allowed to give or receive under the Privacy Act. 9.4 You authorise & permit Us to make independent enquiries of third parties concerning Your financial standing &, for this purpose, authorise & permit third parties to supply such information regardless of any confidentiality or privilege which applies to the information sought. 10.1 To the full extent permitted by law & subject to clause 10.2, We will not be liable in any circumstances, however arising, to You or any person claiming through You in contract, tort, or otherwise (including negligence, wilful or unlawful acts or omissions) for: (a) any economic loss or damage & in particular (without limitation), any loss of revenue, profits, actual or potential business opportunities, contracts or anticipated savings of profits; or (b) any indirect or consequential loss; or (c) the acts of omissions of the Carrier or any of Our servants, officers, agents, contractors or subcontractors or the failure of, or fault or defect, in any contractors of subcontractors or the failure of, or fault or defect, in any telecommunications service, network, facilities, equipment or service, used by Us in supplying telecommunications services; or (d) Our failure to continue to provide the Service to You for any reason whatsoever. You acknowledge that We do not guarantee continuous fault free provision of the Service. 10.2 We accept liability to You in respect of any rights conferred on You by the Trade Practices Act 1974 & similar legislation where not to do so would be illegal, or would make any part of this clause 10 void or unenforceable. Otherwise, We exclude all conditions & warranties implied into the Agreement & limit Our liability for any non-excludable conditions & warranties, where permitted by law to do so, at Our option, to: (a) in the case of services (i) the supply of the services again or (ii) the payment of the cost of having the services supplied again; & (b) in the case of goods (i) the replacement of the goods or the supply of equivalent goods; (ii) the repair of the goods or (iii) the payment of the cost of replacing the goods or acquiring equivalent goods. 10.3 You agree to indemnify & keep Us indemnified from & against liability & all loss & damages caused directly or indirectly by any breach of this Agreement by You or from any claim or action arising directly or indirectly out of any negligence, fraud or wilful act whatsoever, whether by You or any of Your servants, officers, agents, contractors or subcontractors. 10.4 To the extent permitted by law, You agree that Your indemnity shall survive the termination of this Agreement, against any actions, claims, expenses, demands, costs, damages, proceedings or any other liability whatsoever suffered by Us in connection with You using the services or CPE (as defined under clause 17) including, without limitation, You using or incorporating the services or CPE in other products used by You or supplied to You. 10.5 To the extent permitted by law, the provisions of this clause 10 also apply for the benefit of the Carrier. 10.6 In connection with legally requested Interception of Your service, You indemnify Us for all costs, damages or expenses suffered by Us as a result of Your negligent, wilful or unlawful acts or omissions. 11.1 In respect of each Service set out in the Application, this Agreement will commence on the date of it’s submission by You & will continue in relation to that Service until: (a) expiry of the contract term selected for the Service on the Application (Term) ; & (b) continue indefinitely unless terminated formally in writing. In the case charges for the Service will cease at the earliest of 30 days after receipt of formal written notification, unless otherwise stated in any particular Service. 11.2 The period in which the Agreement is effective in accordance with clause 11.1 shall be the Term. 11.3 We may terminate this Agreement if You breach any term or condition of this Agreement or if a receiver or receiver & manager is appointed over any of Your property or assets, or if a liquidator or provisional liquidator is appointed to You or if You enter into any arrangement with Your creditors or You assign or otherwise deal with Your rights under this Agreement without Our prior written consent or, in the case of an individual, You die. 11.4 We may suspend the Services or any of them at any time without notice if any of following occur: (a) We are not satisfied with Our credit assessment of You; (b) If You breach any of the terms & conditions of this Agreement Your Services will be suspended. If You have failed to remedy the breach within 10 days of Us providing written notice to You of the breach Your Service will be terminated; (c) You fail to pay amounts owing to Us by the due date; (d) We are unable, for any reason including the default of a Carrier, to provide the whole part of the Service; (e) You become subject to any form of insolvency administration. 11.5 If We suspend the Services, You will still remain liable for all monies due to Us under the Agreement, during the period of such suspension. 11.6 If Your Service has been suspended by Us due to non compliance with terms & conditions of this Agreement a fee of $33 (GST inc) or 10% of the last invoice issued may be payable to re-activate Your Services. 11.7 If this Agreement is cancelled by You, or terminated by Us: (a) any right which We have in respect of Your obligations under the Agreement that are not fulfilled when the Agreement is ended, will continue to exist; (b) You must pay Us all reasonable costs & expenses incurred by Us in relation to the Agreement ending; (c) Where We are providing data &/or data access services, such as DSL, ADSL, SHDSL, Ethernet, Wireless Broadband, Co-Hosting, You must pay amounts due at the time the Agreement ends, including the balance of the Monthly Service Fees as set out on the Application or agreed by Us, including any amount for Service or CPE that was spread over a term, for all months up to the end of the Term, that remain unpaid at the date of Your cancellation. (e) In addition to any liabilities arising under this clause & where We are providing fixed wire Services, if You terminate the Services before the expiry of the Term or such lesser time as is agreed in writing by You & Us, then You will pay Us a genuine estimate of the loss We will incur from the early termination of this Agreement. The amount of the loss will be calculated as being the difference between the charges billed to You up until the date of termination & the charges that would have been billed to You for the Services supplied to You until the date of termination under an applicable standard rate or pricing plan. 11.8 If We agree to provide a Service for a Fixed Period, then the amount payable for the whole of that Period is a debt owing to Us at the time of entering into the Agreement for which We may bill You even if You cancel the Service or terminate the Agreement before the Term ends. 11.9 Where You have entered into an Agreement to purchase 2 or more products from Us: and during the Term of Your Agreement You cancel the supply of one of the aforementioned products, the pricing of the remaining product(s) or service(s) will revert to the non-bundled (or non-discounted), & thus adjusted, rate for the Service that We continue to supply to You for the remainder of the Term. 11.10 Where We are providing Data Services, if this Agreement is terminated in accordance with this clause, the Carrier may arrange for You to be supplied by the Carrier with the Carrier’s services that had been supplied by Us, but You acknowledge that the Carrier may not be able to make those arrangements immediately & once the Carrier makes those arrangements, those services acquired by You will be acquired on the Carrier’s current rates & terms & conditions & the Carrier will bill You accordingly. 11.11 While you are still within the contract period, you can only change to a higher plan. 12.1 Notwithstanding the provisions of clause 11, if We provide a Service at a discount on payment over a Fixed Period & You cancel the Service or terminate the Agreement before that Period ends, then You will be liable to pay the full undiscounted amount for the Service for the Period prior to cancellation & termination. We will bill You for the amount of the discount allowed to You during the elapsed Period on Your next bill. 13.1 You will keep confidential all information supplied by the Carrier or Us. 14.1 We will not be liable for any delay in the connection of or failure in the operation of Services due to any occurrence reasonably beyond Our control including failure of any link provided by the Carrier. 15.1 This Agreement contains Your & Our entire understanding to the exclusion of any & all-prior or collateral agreement of understanding relating to the Services provided whether oral or written. You acknowledge that You have not entered into this Agreement in reliance upon any statement made by Us, other than as expressly contained in this Agreement. 15.2 If any part of this Agreement is found to be invalid or of no force or effect this Agreement shall be construed as though such part had not been inserted & the remainder of the Agreement shall retain its full force & effect. 15.3 To the extent that any Service specific term or condition conflicts with any other term or condition in this Agreement, the term or condition specific to the Service will apply. 16.1 We may assign the benefit of this Agreement at any time to a person or corporation nominated by Us, including a Carrier, &, in this event, such Assignee or nominated Carrier shall deal directly with You for the purposes associated with the provision of Services under this Agreement. 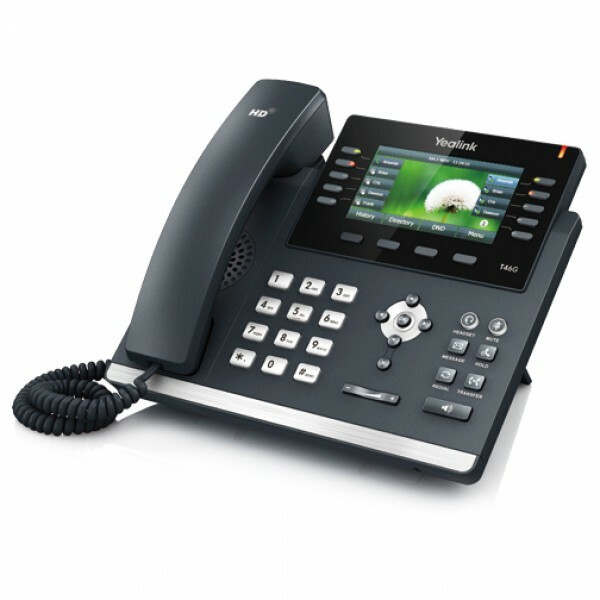 -Meaning Telephone Handset, Indoor Access Router, Modem, Software Thereof. 17.1 Any CPE You use not provided by Us in relation to the Services must comply with applicable standards & specifications, including those set by the Carrier or Supplier. 17.2 We may substitute any component of the CPE or part of any component of the CPE prior to delivery without consultation with You & may in any respect modify the CPE if, in the reasonable opinion of Us, the substitution or modification: (i) will not adversely affect the performance or capacity of the CPE in any material respect (ii) will not alter the configuration of the CPE in any material respect; & (iii) will not otherwise materially affect Our obligations or prejudice Your rights under this Agreement. 17.3 Risk in any CPE provided to You by Us passes to You upon delivery. 17.4 If purchased from Us, Title to any CPE does not pass to You until all amounts owing have been paid in full to Us & the cost of such CPE will be held by You in a fiduciary capacity as bailee for Us. 17.5 You irrevocably grant to Us, Our agents & servants, leave & license without the necessity of giving any notice, to enter at any time on & into premises occupied by You using reasonable force if necessary to inspect, search for & re-take possession of any CPE in respect to which payment is overdue. 17.6 On the termination of this Agreement for any reason, You will immediately return all of Our CPE, should the CPE be Our property. 17.7 (a) We will use Our best endeavours to deliver the CPE to You on the Delivery Date at the site during Your normal business hours. (b) If You wish the CPE to be delivered to a location other than the site, You must request this in the Application Form upon signup for the Service. (c) If You request delivery of the CPE to be made in advance of the Delivery Date or postponed beyond the Delivery Date, We shall use reasonable endeavours to re-schedule delivery accordingly but shall otherwise be under no obligation to comply with Your request. (d) If We request permission to deliver the CPE prior to the Delivery Date, You shall use Your best endeavours to prepare the site & to do all other things necessary to enable Us to comply with the request & to accept early delivery. 17.8 (a) Where We reasonably determine the requirements for installation exceeds reasonable expectations for any Installation Fee quoted or agreed with You, We will not be bound to provide the installation at the Installation Fee previously quoted or agreed & We agree to discuss & use Our respective reasonable endeavours to agree a new Installation Fee. (b) You agree to obtain & maintain, at Your expense, any & all permits, licences, approvals, authorisations, required for the installation & operation of the CPE. (c) In the event that You are relocating Your Premises & as a result, Your CPE, We may, upon Your request, allow You to move the CPE from the Premises to new premises during the Term so that You can continue using the data service(s) at the New Premises, subject to: (i) Our being able to provide the service(s) at the New Premises; (ii) You agreeing that these terms & conditions apply to the provision of the service(s) at the New Premises; & (iii) You pay all costs incurred by Us as a result of You having the CPE moved. 17.9 (a) You acknowledge that the CPE does not include the goods & services specified as excluded or “not included” in the Quotation; (b) You may upon request to Us, request that We supply additional services including without limitation, inspection, repairs, adjustment & replacement of unserviceable or defective parts not subject to the limited warranty given in clause 17.11 in respect of the CPE; (c) If agreed to by Us, additional services will be provided on a time & materials basis charged at Our standard rates in effect from time to time & on terms agreed to between Us & You; & (d) Unless agreed in writing, any subsequent agreement to provide additional services between You & Us will not modify or vary the terms & conditions of this Agreement. 17.10 (a) We warrant that at the date of this Agreement We believe the CPE to be free from defects in materials & workmanship. (b) You may during the Warranty Period notify Us in writing of any defect or suspected defect in the CPE. We shall, to the extent necessary, inspect, replace or repair the CPE at no additional charge, & as soon as practicable after receiving written notice from You. (c) We shall not be liable under clause (b) of Clause 17.11 if the defect is the result of:- (i) Improper use or mismanagement of the CPE by You; (ii) Operation of the CPE other than in accordance with the instructions given by Us; (iii) Use of the CPE in a manner not reasonably contemplated by Us; (iv) Modification of the CPE not authorised by Us; (v) Use of the CPE in a manner contrary to law; (vi) Subjecting the CPE to unusual or not recommended physical, environmental or electrical stress; (vii) Reinstallation or moving of the CPE by a person other than Us; (viii) Use of the CPE by a person other than You; (ix) Your failure to comply with any terms of this Agreement; or (x) Your failure or refusal to install engineering changes or enhancements recommended by Us. (e) If You provide a notice of a defect or suspected defect pursuant to clause (b) of Clause 17.11 & any subsequent inspection of the CPE by Us reveals no defect, the direct & indirect costs & expenses associated with such inspection shall be borne by You as an Additional Charge. (f) You agree that the warranty in this clause 17.10 may, at Our option, be varied or replaced by specific warranty conditions issued in respect of the CPE. 17.11 We are not liable for faulty CPE provided to you by a 3rd-party manufacturer. Where You are experiencing CPE fault, You should contact the manufacturer direct, of whose contact details may be on our website www.alphacomms.com.au. 18.1 Any notice, demand, consent or other communication required to be given by either party must be delivered personally, or sent by email, prepaid mail, or by facsimile to the address of the other as last notified. 19.1 This Agreement shall be governed & construed in accordance with the law of New South Wales & the parties hereby submitted to the jurisdiction of the Courts of that State. 20.1 In the event that a bill is disputed by You, You agree to pay to Us all the total amount as indicated on the disputed bill without deduction or set-off & We agree to refund any monies found to be charged incorrectly after reasonable & proper investigation. 20.2 If a billing dispute is not raised within 3 months of the bill issue date, charges will be deemed correct & payable by You. 21.1 You are responsible for the content of the messages You communicate when using Our Services as well as the consequences of those messages. You agree that You will not use Our Services to engage in activities that are illegal, obscene, threatening, defamatory, invade privacy, infringe intellectual property rights, or otherwise injure third parties or are objectionable. You may not use a false email address, impersonate any person or entity, or otherwise mislead others or Us as to Your identity. We reserve the right to suspend or terminate the Service in the event of a breach of this clause & in such cases You will be responsible for any costs associated with suspension or termination of the Service. 21.2 We believe that any correspondence or emails from Us or its related parties are a valuable part of Our service as they enable You to keep up-to-date with matters regarding Internet security, viruses, useful tools, promotions, sites of interest & other related matters. The correspondence & emails do not constitute Spam as We have a continuing business relationship with You. However, if You do not want to receive such commercial communication from Us please contact Us to unsubscribe, otherwise We will continue sending You relevant information until You request Us to remove Your email address (this does not affect other electronic communications specifically regarding the provision of the service of Your account). 22.1 Deliveries shall be made during normal working hours. Deliveries required outside normal working hours will be delivered on request of the Customer, and all charges will be the sole responsibility of the Customer. In the event the Customer or the Customer’s Agent is not on site to accept the delivery, then the driver’s signature denoting the time, date and place of delivery, shall be deemed to be acceptance of the said delivery whether by the supplier or the supplier’s agent. The date of delivery set forth in the order form is made in good faith, but the performance of the Supplier’s engagement is subject to industrial disturbances, delay in transit, damage to goods in transit, shortage of goods and any other cause beyond reasonable control of the Supplier. The Supplier shall be excused from failure to deliver or complete, which is contributed to by any such cause, and the time specified for completion of delivery shall be extended commensurately. Delay in delivery or completion shall not constitute a breach of contract, nor shall it affect any other provisions of the contract to the Supplier’s disadvantage. 23.1 All goods carry only such warranty, if any as is furnished by the manufacturer thereof, or as implied by law. The Supplier warrants their product for domestic use only, that its materials are free from faulty workmanship for a period of twelve months from date of delivery. This warranty excludes those components supplied by other Suppliers, damage caused by neglect or misuse of materials supplied, powder coating fading, installation of materials less than 500 metres from any marine environment (salt water ocean or lake), labour costs associated with installation or removal of defective products, corrosion caused by chemicals, eg brick cleaning acids. The Supplier will not accept goods returned for warranty work, unless the freight is prepaid by the Customer. NOTE – No warranty work will be completed whilst ever the Customer’s account is in default of the agreed trading term. 23.1 RETURN OF, OR CANCELLATION OF GOODS ORDERED. In the event the Customer elects to return goods or cancel goods on order, the Supplier at its absolute discretion reserves the right to charge a 10% handling fee on the amount involved. Further no return of goods will be accepted, without prior approval of the Supplier in writing. 24.1 Where We are providing fixed wire Services, You will assist Us in ensuring that any equipment necessary for You to receive the Services & access Our network is installed & programmed so that calls to destinations nominated by Us from time to time are, as far as possible, carried by Our preferred switched services network. 24.2 Where We are providing data &/or Broadband Services, You will assist Us in ensuring that any equipment necessary for You to receive the Services & access Our network is installed & maintained. 27.1 We may, at Our discretion, provide the Service by using either: (a) an existing or new Unbundled Local Loop Service (‘ULLS’); or (b) an existing or new access line that supplies a standard telephone service; provided by Telstra Corporation Limited (‘Telstra’)or other reseller, depending on the technical & operational requirements of the particular Service. 27.2 reserved 27.3 Where a telephone exchange area is shown as being Broadband (i.e. DSL) enabled, there is no guarantee that individual telephone services provided from that exchange will qualify for DSL service provision. 27.4 The performance of the end-to-end service offered over DSL is determined by the quality of the copper line & the distance from the DSL exchange. As such the performance of the end-to-end service can only be estimated until We have qualified the line performance. We will accept a customer order upon appropriate qualification where the line performance meets Our service objectives & the availability of the said service. 27.5 Delivery times of data tails specified in the original proposal to You assume availability of Service and/or no Carrier delays. If following submission of Your order by Us to the Carrier Service qualification is unsuccessful then a new Service proposal may be provided that may differ from the original proposal and may incur additional charges. In addition to the provisions in (21.0) above, You agree to comply with the acceptable use standards which include but are not limited to the following: 28.1 not to send email that may destroy or damage an email recipient’s computer; 28.2 not to knowingly accept email which is unlawful, & violates or infringes upon the rights of any person or corporation; 28.3 not to reveal confidential information about Us &/or Our suppliers which may result in unauthorised usage of the Services by a third party; 28.4 not to transmit information which contains viruses or other harmful components; 28.5 not to interfere, damage or destroy computer systems operations of the Services including disobeying any of Our requirements, procedures, policies or regulations, other users &/or third parties; & 28.6 not to store or transmit any unlawful, threatening, defamatory, offensive or pornographic material that constitutes a criminal or civic offence under State & Commonwealth laws. 29.1 You agree to accept responsibility & liability for the security of &/or access to Your networks & related systems. You will take reasonable & appropriate precautions to prevent any violations of Your network &/or related systems security. 29.2 We do not take responsibility or are liable in any way for any violations of Your network &/or related systems security, however caused. 29.3 While We are responsible for the provision of services, You are responsible for ensuring that adequate security in the form of virus protection and firewalls exist to protect Your electronic data and computer operating system or the electronic data and computer operating system of Your business against & unauthorised or unwarranted intrusion.